Hi there all!! Welcome to today's share! 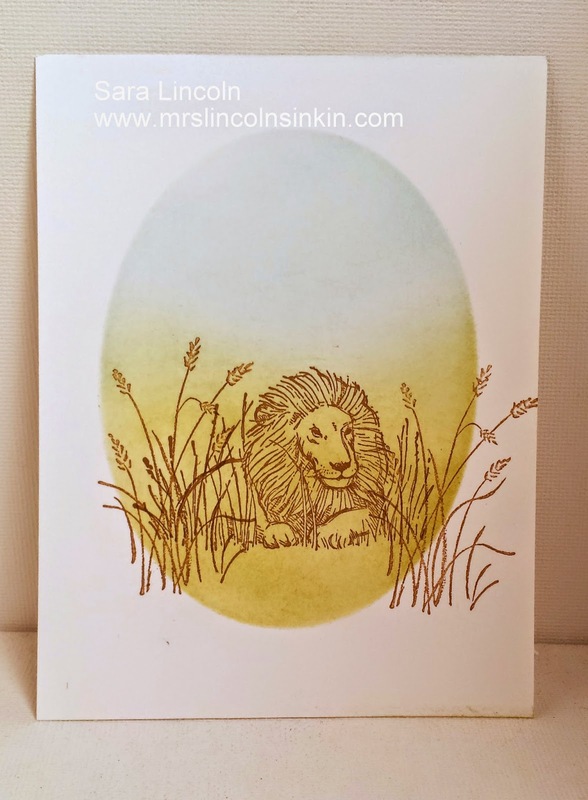 I wanted to share this masculine card that i did using the Zoo Review stamp set. I love the lion in this set!! I wanted the card to be simple, yet masculine. I decided to do an oval frame, cut from my Oval Framelits and Big Shot, with some sponges and my image. I made a mask for my image, i will have a simple video tutorial on Masking here shortly. 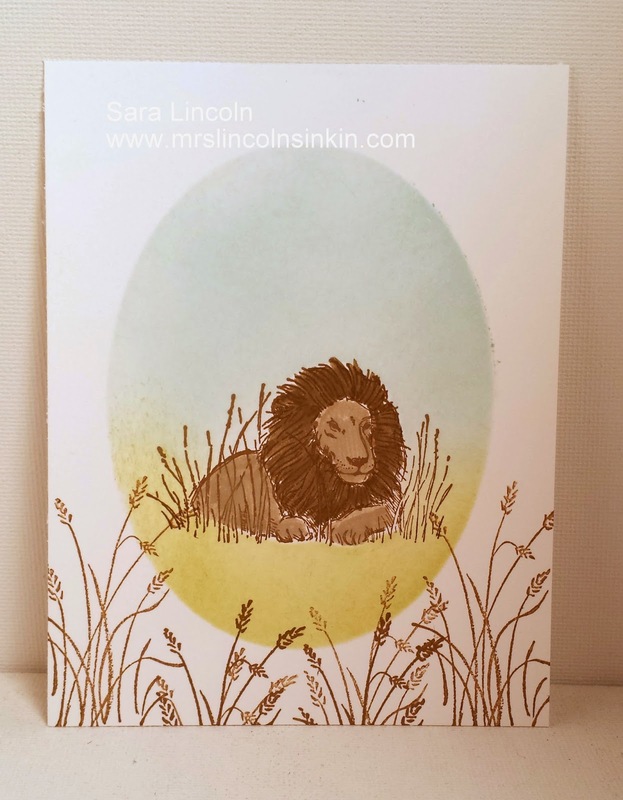 Now, it took me a little bit to decide how i wanted my lion, so i thought that i would share with you my multiple tries and how i came to the conclusion. Here is my first attempt. This is where i learned that i wasn't going to be able to get away with not having a mask. I thought that since i had coloring to do i would be able to cover the background colors since my Lion was going to be a darker color. I learned that however was not the case! I also played around to see what it might look like if i put some grass on either side. Didn't like that either. Round 2. 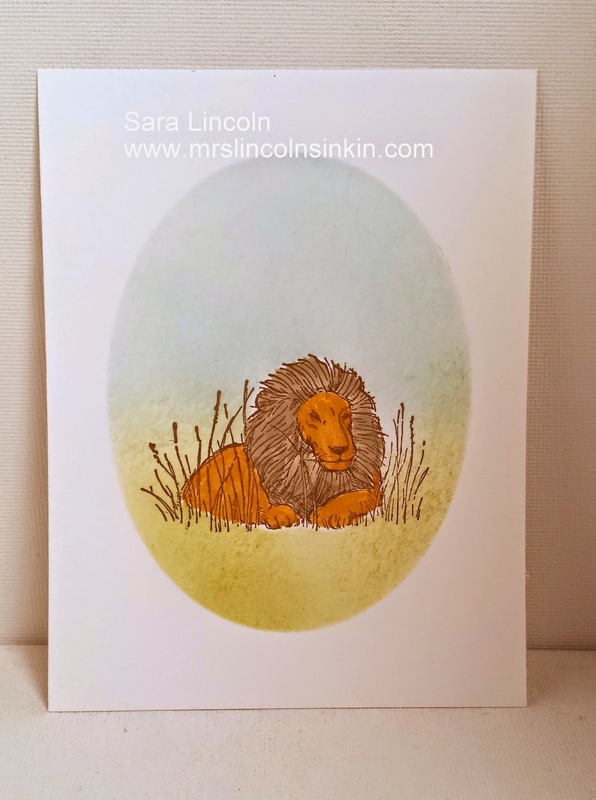 This time i was trying to decide on color for my lion. I first tried with Soft Suede and Crumb Cake. I used the Crumb Cake for his body and, you can't really tell that well in the picture but in person it actually looks more gray than brown, which is not what i wanted at all. Then, with his mane in Soft Suede it just didn't look right to me. Again with the grass.. thought maybe if i added some to the bottom too it would help... nope!! Round 3. With this one i tried more tones in the "yellow" family. I went with Crushed Curry and So Saffron. In this one i used the So Saffron for his mane and not his body, i didn't like how it turned out, i thought that they should of been reversed. Well, i did that and that is the final card that you see today. I really like how his colors turned out!! 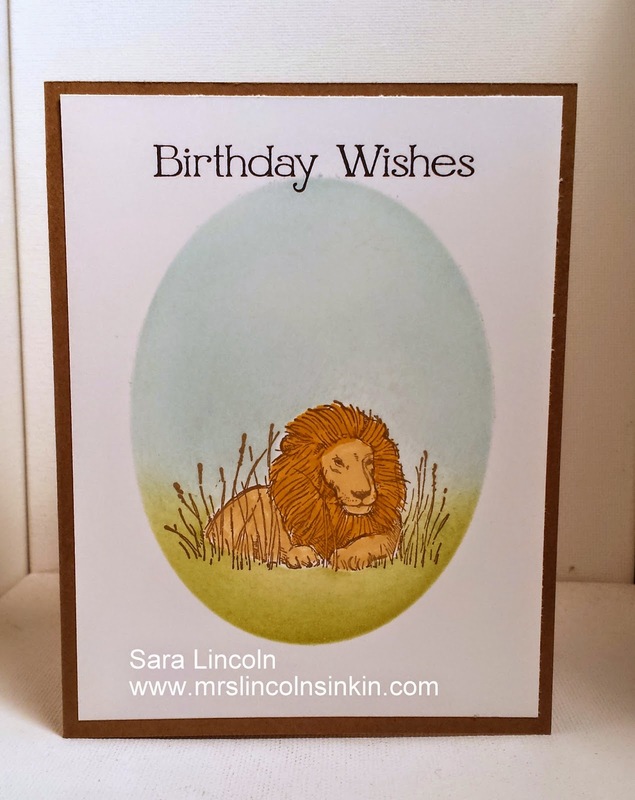 The base of my card measures average size of 4 1/4" x 5 1/2" and is in the Soft Suede. My greeting is a simple Happy Birthday from the awesome Four You set. The set that i am showcasing today is the Zoo Review set. 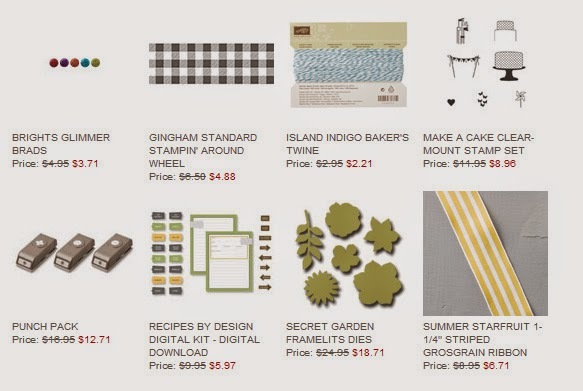 Now on to a look at the weekly deals that are available. The Secret Garden framelits are one of my favorite die collections and i love the Itty Bitty Punch Pack! 2 amazing products for really good deals!! !